Although the GameCube is rapidly becoming Nintendo's second-lowest performing console (the Switch doesn't have much to sell before it eclipses it already), but was a hell of an era and contained a ton of experimentation. 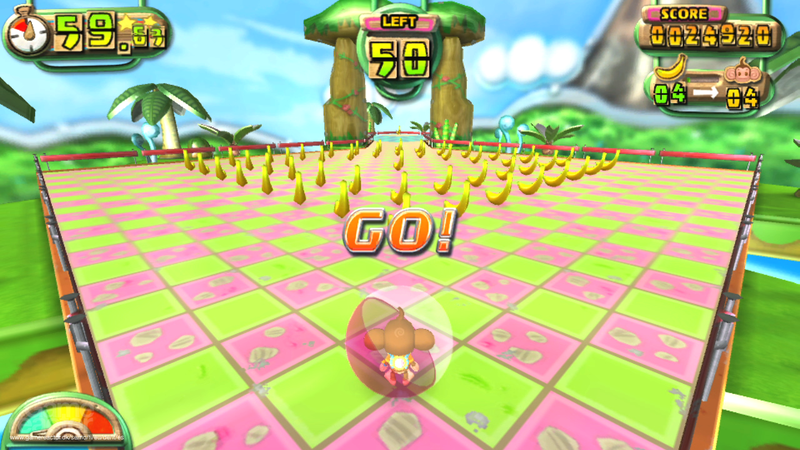 One such experiment was Super Monkey Ball, which lept onto the GameCube alongside of its arcade rendition. in 2001. Sega's COO Toshihiro Nagoshi reflected on that very era with Edge Magazine, and how it came to be. Nagoshi explains: "Around that time our CEO kept changing, and the newest one asked me why making games cost so much money. I told him we couldn't do it any cheaper, but at the same time I was quite upset about it. I decided to make a game with minimum resource, minimum time and minimum budget. Looking back, that's no way to work (laughs). But there are some huge fans of this game. When we gave up on making hardware, we knew the Gamecube was coming, and when it would be launched. We didn't think we had enough time to get a game ready for release day. Super Monkey Ball came to mind. I think we had ten people on the game, maybe less. We made it just in time somehow." Additionally, he mused on F-Zero GX, which was actually a Sega production under the arm of their now-defunct company Amusement Vision, saying that Sega lost the hardware war because Nintendo was so stalwart in their quality control. He states that Nintendo was better at the "finer details," specifically decision-making and timing, and that he wasn't able to change their mind on anything, "not even once." In the end though Sega pulled off a miracle with GX, and Nintendo was calling them up asking how they had delivered such a great game in their given timeframe. Excuse me while I hook my GameCube back up. Obviously, Nintendo didn't learn anything from it cause we haven't gotten a new f-zero since. Also, what is this nonsense of losing to Nintendo? They lost to Sony, not Nintendo. Sega lost in 2 hardware wars against Nintendo in 8-bit and 16-bit time, and lost against in 32-bit time to Sony. Mega Drive and Genesis sold EXTREMELY well everywhere except Japan. The Mega CD and 32X didn't cause them to fail. That's just dumb. That's like somebody not buying an SNES because the SuperScope exists. But Sega stopped supporting their 16-bit consoles before they should have. Then the Saturn had a surprise launch in the US and that REALLY rubbed a lot of people, stores and publishers the wrong way. HUGE mistake. Also the design of the Saturn made it difficult to develop for because of the President insistence of this, that and the other thing. He was very stubborn and rejected both Sony and Silicon Graphics. Ultimately, his stubbornness killed Sega (and Bernie Stolar didn't help either). Not the Sega CD. Not the 32X (though that certainly didn't help). The 32X was also pushed by said president (Nakayama I think his name is, can't recall at the moment). He insisted on the Saturn's early launch as well. They could have had Sony on their side and if not then, the Ultra 64 tech. But it would have been better than the N64 because Sega wouldn't have tried to make it $200 at launch like Nintendo did so there would have been fewer hardware sacrifices I feel.